WordPress is the most popular content management system on the planet. With over 33% of websites running on this platform, we thought we would look at the history of it, how it transformed from a simple blogging system into its current form, how its community was born, and the ecosystem around WordPress. WordPress is a content management system, or CMS for short, that helps bloggers and webmasters edit content on a regular basis without the need to use a traditional HTML editor software, for example, Dreamweaver or Frontpage. If you don’t even know what are those, consider yourself lucky. WordPress itself is an open source software licensed under GPLv2 which means it’s free to use and free to modify. This package can be found on WordPress.org. Be careful with those domain extensions as Automattic, a company founded by the creator of WP, Matt Mullenweg runs WordPress.com which is a free, hosted version of the platform that lives on Automattic’s servers and they offer a couple of paid extras, for example you can use your own domain name, but you have to fork out a couple of bucks for this option. There are a few other options to get a free, hosted WordPress site other than Automattic’s WordPress.com service, however that is the most popular choice. WordPress.org is the self-hosted version, that you can run on your own servers (if you have any) or purchase a hosting package from one of the numerous web hosting companies, for example, Kinsta, WPEngine, Siteground, Flywheel, GoDaddy, HostGator, BlueHost and a litany of other third-party hosts. There are monthly costs to consider plus you’ll have to pay for your own domain name which can range from $3 to around $60 based on what domain extension you’ll choose: .com’s are the cheapest, while exotic TLDs like “.io” are usually more expensive. The benefit of a self-hosted blog is that webmasters have access to the code behind their site, as well as the roughly 56,000 free plugins and 2,500 themes that are listed on the official repository (WordPress.org) – and even more from commercial sources. We created you a curated list of the best WordPress plugins here. These are all GPL licensed, just like WP itself, which means site owners can use them on their sites free of charge. We will discuss this more in-depth in the community section as well as the premium plugins available for WordPress users. We understand that the history of WordPress is evolving at a rapid pace. That is why Kinsta is dedicated to updating this guide as changes happen in the world of WordPress. Furthermore, this is not only a guide of statistics. This is a guide to understanding what WordPress is, and how the history of this dynamic community can affect your business. This guide will provide you with information about the major building blocks and players, so you can understand how every aspect of WordPress works. The history of WordPress starts like most others, with an initial idea from an everyday guy (turned genius) looking to solve a problem he had at the time. In this case, the year was 2002. Matt Mullenweg, a college student at the time, installed the b2 or cafelog blogging system for personal use. Unfortunately, the original creator of b2/cafelog had to give up updating his creation because of personal matters and the project and its community were left without a leader. On April 1st, 2003, Matt created a new branch of b2 on SourceForge by forking the original b2/cafelog system to create his own version with the help of Mike Little. Matt’s friend, Christine Tremoulet recommended calling it WordPress and that’s the name they stuck with. After hundreds (maybe thousands) of commits to the official SVN repository, the first version, WordPress 0.7 was released on May 27th, 2003. WordPress 1.0 was released in January 2004: otherwise known as the ‘Davis’ version. Mullenweg has an affinity for jazz greats. He names all updates after Jazz greats from the past and today. In addition, Matt used to include a plugin called Hello Dolly in every release. This plugin is a long-standing tribute to Louis Armstrong. That plugin would sum up what they did with the first release of WordPress. 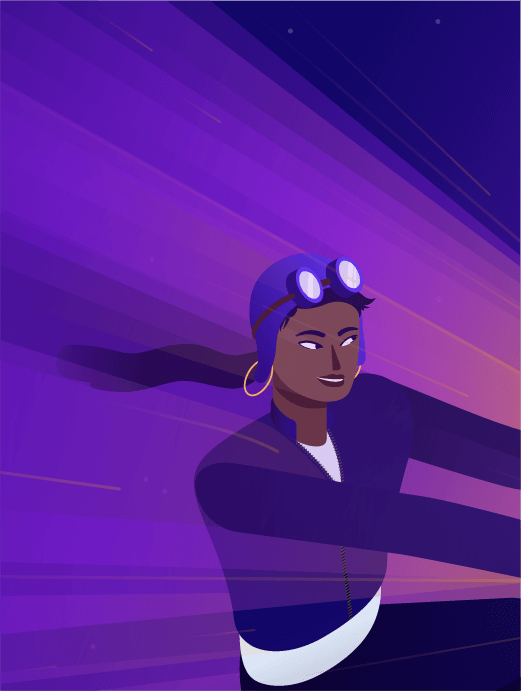 At Kinsta, we can think of no better way to describe the appearance of WordPress than as a symbol of hope and enthusiasm for an entire generation of website owners. Furthermore, this platform was the first platform that would resemble the WordPress we know today. With search engine friendly permalinks, multiple categories, simple installations, upgrade capabilities, and comment moderation the software was a true blogging system (and maybe an early CMS, however at the time those features were restricted to those with programming experience). That same year, WordPress caught a lucky break when competitor Movable Type decided to change their pricing structure. This change drove away a lot of Movable Type’s audience. Looking for an alternative, WordPress was the best choice. Later in October 2004, CNET hired Mullenweg to help them with their own blogs. He would drop out of college to take this job, and moved from Houston to San Francisco. He worked there for a year, and left in October, 2005. That same month, he created the Akismet comment spam filter for WordPress. This plugin is still to this day, one of the most popular comment spam protectors for blogs. October was definitely a busy month for Automattic, the company that Matt founded after leaving CNET. They raised $1.10 million in a series A funding. Some of the first investors were True Ventures, Radar Partners, Polaris Ventures, and CNET among others. This was the first sign of growing outside confidence in the platform. However, with the additional time, now that he was not working for CNET, he also had the chance to update WordPress. The Duke 2.0 update came out in December. This was a major overhaul of the dashboard along with improved speed and efficiency with the posts and image uploading. 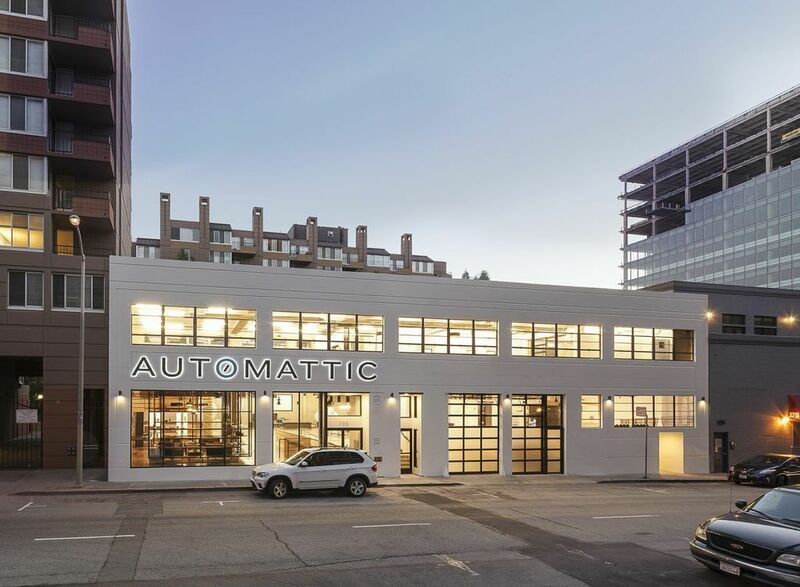 Moving into 2006, Automattic started to grow their business and brand. They hired former Oddpost CEO and Yahoo! Executive Toni Schneider as Automattic CEO. Despite having thousands of users, the company now had only 5 employees. In August of that year, the first WordCamp was held in San Francisco. WordCamps are annual events that volunteers organize for users and developers to get together and discuss all things WordPress. As of 2018, there are 784 WordCamps in 69 cities across 65 countries (Source: About WordCamp). The annual meeting in San Francisco is the main event, where Matt Mullenweg gives his annual update called State of the Word. Then in September 2007, Beijing hosted the first WordCamp outside of San Francisco. The next month, Automattic purchased Gravatar. Gravatar are the avatars, or pictures you see next to your name when you interact on WordPress sites (and many other services, since it’s a free service). This is the first in a series of purchases Automattic makes to bring in related technology to improve the WordPress platform for users. In January 2008, they raised another $29.5m in a Series B round of funding. In addition to Polaris and Radar Partners, the New York Times and True Ventures invested in Automattic at this time. This is important because within the next few years they will make some strategic acquisitions with this funding. While we know there is a line between Automattic, the company, and the WordPress open source project, sometimes that line is blurry. As a good example of that blurred line is their first key acquisition, which was BuddyPress. BuddyPress is the social networking platform that runs on WordPress. It has spawned an entire legion of secondary plugins for this useful addon. Just like WP itself, it is licensed under GPL and is, of course, open source. Furthermore, 2008 was also the launch of the WordPress Theme Directory. Anyone can develop and upload their themes to this directory and make it available for free to tens of thousands of visitors, the only criteria is that it has to pass a quality check first. There’s a lot of activity on the site every day and there are more than 2,500 free themes available for download as of now! Fast forward to June 2009, and we have the next major WP update: the WordPress 2.8 Baker version. This update helped admins with features like automatic installation of themes and the addition of the CodePress editor to help web developers with the coding of their sites was also important. That same year WordPress also won the Packt best Open Source CMS Awards. If I wanted to single out one particular update that I think was groundbreaking, it would definitely be the 3.0 Thelonious one, released in June of 2010. The inclusion of the feature for custom post types has opened the gates to all kinds of customizations of the content types you can manage with WordPress. Previously there were only posts, pages and taxonomies; now you could create a post type for restaurants (for example) and using custom fields you could add a bunch of key-value pairs to describe that particular object. 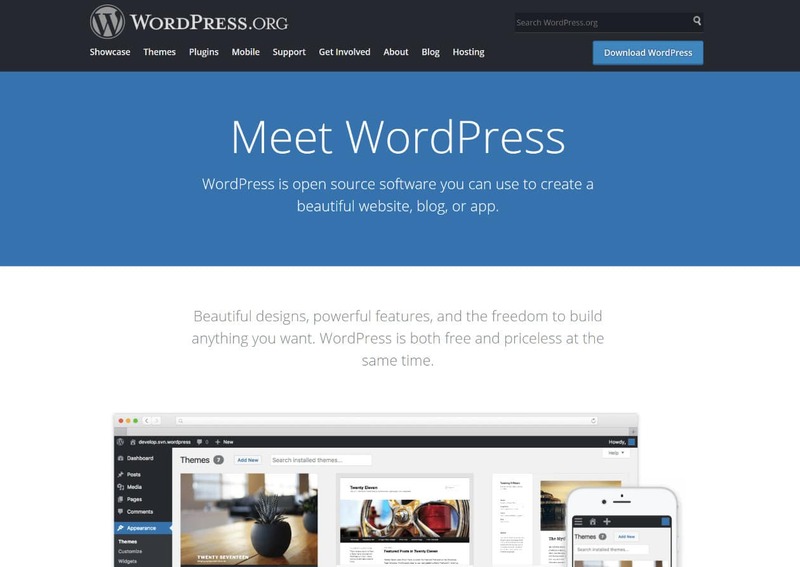 This is exactly what separates WordPress as a CMS from a “simple” blogging system”. Via the introduced APIs it became much simpler to extend the functionalities of a core WordPress install and customize it to your (or your clients’) exact needs! WordPress 3.1 Reinhardt update came out in February 2011. One of the notable additions was the admin bar, that you can use to access every page’s backend while logged-in to your site. This made it easier to change specific pages without having to rummage around your site for the posts and pages you wanted to update. Plus building upon the great CMS features of 3.0, Post Formats and archives for custom post types were introduced in 3.1. Additionally, in 2011 WordPress now powers over 12% of the world’s websites. 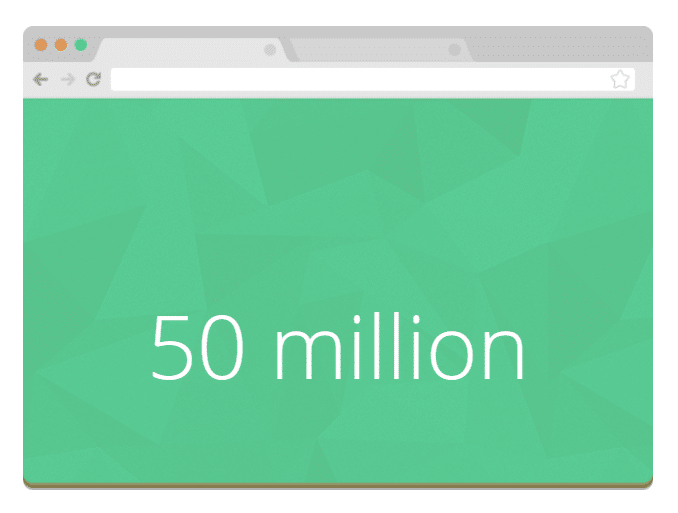 In July, they surpass 50 million WordPress blogs. This growth will keep going. Three years later, they have a 22% share of the world’s websites using their platform. Skipping forward to January 2013, Automattic acquires Simperium, the note-keeping app. This is useful for developers creating apps to keep track of what they are working across a large team sprawled across the world. For example, perhaps you want to create a WordPress plugin or theme with developers in Delhi, Boston, and San Francisco. Now you have a single system to organize the notes for the app. Then as we finally move to the last 6 months, let’s look at some of the major moves. 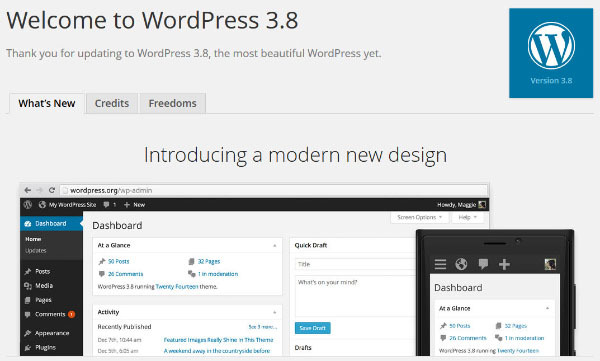 Starting in December 2013 came a major change with the WordPress 3.8 Parker update. For the first time, since the Davis update, the core team revamped the look and feel of the Dashboard. They also made the WordPress admin interface responsive. This means that the platform can work as well on a mobile or tablet device as a computer. In April of this year, Automattic went on a small buying spree purchasing Longreads and Scroll Kit. Longreads is a news aggregator specialized in the ever more popular long-form style of writing. 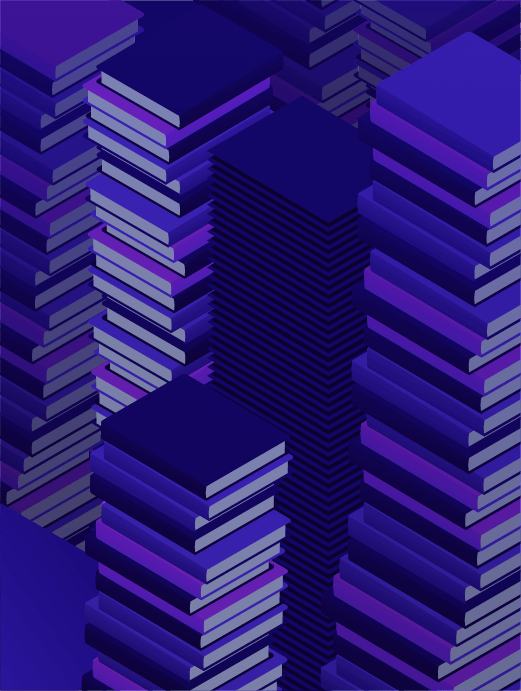 On June 5, 2014 Longreads announced that they’ll be launching a new series in which they’re looking for the best content over 1,500 words published on the WordPress platform. This includes the WordPress.com and the self-hosted blogs too! As longtime Longreads.com (and WordPress of course) fans this is a fantastic idea in our opinion! If you’d like to call the editorial teams’s attention to a great piece just tweet the link and add the hashtag #longreads. Scroll Kit closed down. 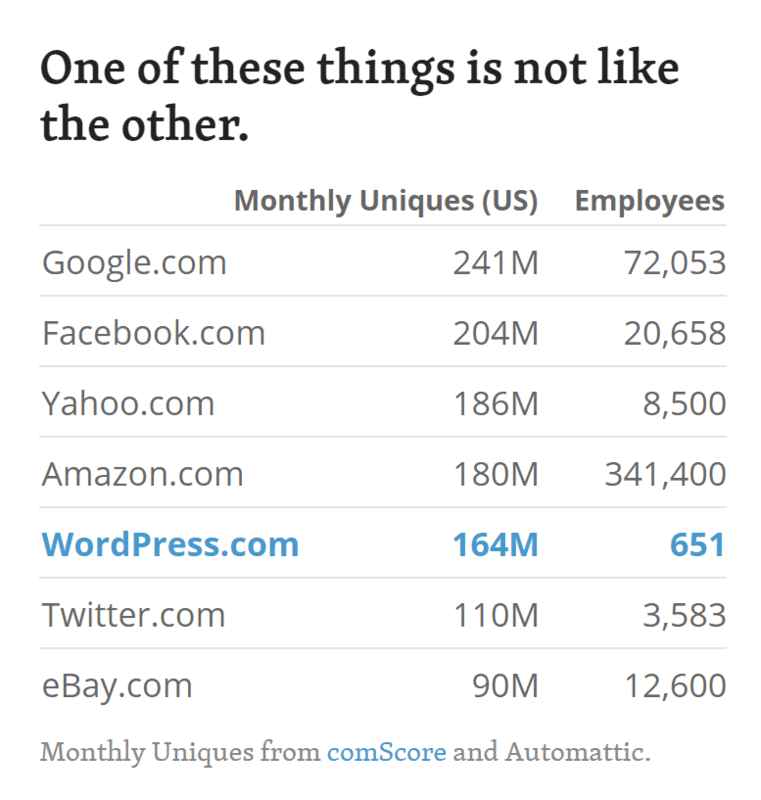 It seems that WordPress was more interested in the coders than they were in the company. Also in April, the core team released the WordPress 3.9 Smith update. This update is changing how WordPress works with future automatic version updates. Hopefully even long abandoned, self-hosted blogs will get automatically updated to the latest versions making the perception of WP being insecure a lot less common. Finally, the icing on the cake would be the $160m Series C funding round Automattic received at the beginning of May. This funding round confirmed that the value of Automattic is over $1 Billion. The company itself has only 256 employees. Considering how the other tech giants like Google, Facebook, Yahoo!, and Amazon have thousands of employees working for them, this is amazing. We don’t yet know what Automattic is planning on doing with the new funds, however, we’re sure it will be beneficial for everyone involved with WordPress. Almost makes your head spin as you think about all WordPress has achieved in the past 14 years. However, this is just the beginning. The founders, the core contributors and the whole community have created a dynamic platform that 29.3% of the world’s websites run on, but also gave birth to one of the most vibrant ecosystems on the web today. The WordPress 4.0 update, or Benny, was released to polish up the writing and management experience. Uploading media became easier, since it was all presented in a beautiful grid format. Embeds also turned into a more fluent process. For example, pasting a YouTube URL into the editor would automatically embed a video into the post. This worked with various links, so the embedding process became more visual in nature. On the editor side of things, the developers wanted to keep the editing tools in view at all times. Therefore, the editor would start expanding to fit your content as you wrote. The final main addition with 4.0 was some changes to the plugin directory. They implemented a better search, new metrics and a more visual experience to see exactly what types of plugins were coming up after the search. WordPress 4.3, or Billie, put a strong focus on customization and formatting, with menu tools right in the customizer. For example, it allowed for assigning menus, customizing them and even managing them from a mobile device. Formatting shortcuts came along for those who weren’t keen on utilizing keyboard shortcuts. As an example, putting ## before and after a line of text would turn it into a header. In addition, the site icon upload removed the need to go out and find a third-party favicon plugin. Better passwords made for stronger security, while the smoother admin experience ensured that modifications were easier on any device. They also added a Customize button on the frontend of site, along with the rollout of all comments being turned off on pages. WordPress 4.5, or Coleman, streamlined the workflow with additions like inline linking. Some other formatting shortcuts were provided, such as the ability to add horizontal lines in an instant. One of the more impressive updates involved the Preview button. Since websites need to look great on all devices, it made sense that they made the previews mobile responsive. Custom logos came along with the update, and the smart image resizing brought images up much faster without any changes to the page speed. In previous versions of WordPress you may have noticed that installing a plugin currently redirects you to the loading screen. The WordPress 4.6 update removes this for both updates and installations, making the process a little more streamlined. One problem many webmasters have is locating broken links. This update highlights those links right after they’ve been inserted. Another problem came along when users tried to disable revisions. It affected the autosave feature, but the new changes should fix that. Back when WordPress started, it utilized the Open Sans font to ensure that all devices rendered similar font sizes and styles. This has changed in the past, but WordPress is reverting back to it. Therefore, you may notice some changes to the way your backend user interface looks. However, the modification is meant to help out with mobile backend users. 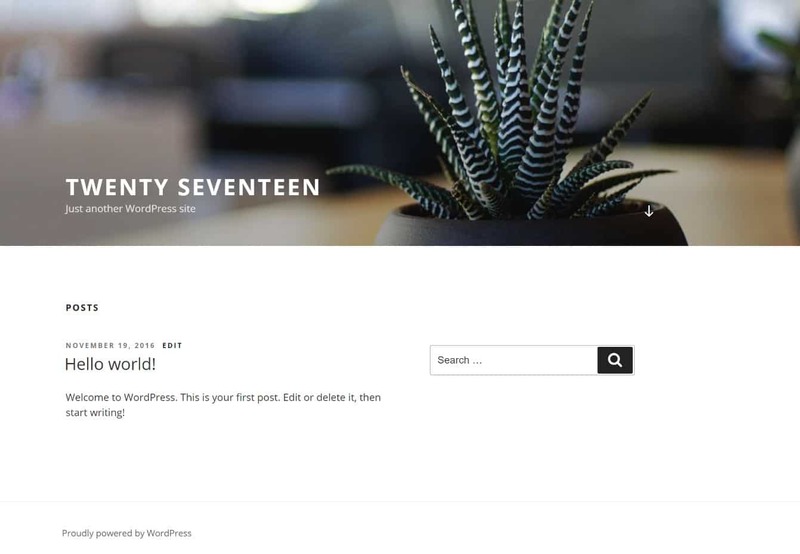 WordPress 4.7, or Vaughan, included a lot of exciting new features such as the new twenty seventeen theme, new customization options, and a host of developer features. The theme customizer was been completely redone. They added new shortcut icons which you can click and go directly to the field in question. Building menus in the customizer became much easier as you could create pages while building them. And you could finally add custom CSS within the customizer. Thanks to the customize API and the new focus of the WordPress team on the theme customizer, developers are now building various customizer frameworks to elevate and provide a unique editing experience for WordPress users. For developers, you can now register post type templates. Content endpoints have also been merged into core regarding the WordPress REST API. WordPress 4.8, or Evans, was released on the 8th of June 2016. This version’s main focus was to improve existing widgets and also introduce some new ones as a way to more easily showcase content, images, and branding. Prior to this, widgets hadn’t received much of any updates for years, so it was great for users to see some extended functionality. This included the visual editor being accessible inside widgets, as well as a new image widget, video widget, and audio widget. Along with the WordPress 4.8 update came a change with how links were handled in the editor. Previously when you would select a link and edit it, sometimes you would end up linking the word next to it, or not being able to move the cursor outside the link element. It wasn’t a bug, but rather a small annoying thing every publisher had to deal with. To help better resolve this issue they have added what they call link boundaries, or rather blue borders around them when they are selected. The latest version, WordPress 4.9, Tipton, marked a significant step toward a more user-centric way to customize and manage websites, with great improvements to the Customizer, more changes to widgets, a powerful text editor for editing code, and much more. In all previous versions of WordPress, there hasn’t been code syntax highlighting or validation of any kind. It was simply displayed in plain text. 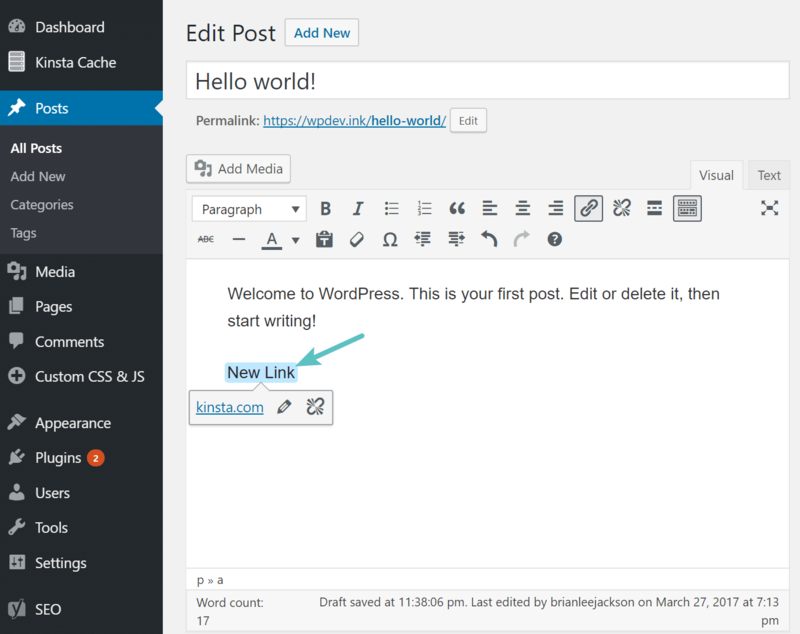 With WordPress 4.9 came the integration of the CodeMirror text editor. This is great news, especially for developers, as it is now easier to quickly make small code changes, as well as tweak CSS in the customizer. Another changed that was introduced was a new way to save changes in the Customizer. Any time you start a customization session, every change of settings is saved in a customize_changeset custom post type. Thanks to changesets, user customizations can be saved as drafts or scheduled to be published in the future. This means that site admins can discard changes and restore the Customizer to the last published state before the final publication. Apart from the fairytale-like growth of WordPress’s market share, quite a few multi-million dollar companies came into being in the past couple of years also. Being an open source platform, WordPress helped tens of thousands of people find work. Developers, designers, bloggers, marketers, hosting companies, theme shops, and plugin makers all using WordPress for finding new clients and using it for their customers’ needs as well. According to Mullenweg’s interview on SFGate.com, over 20,000 people are “making a living from WordPress.” Obviously, it’s quite hard (if not impossible) to estimate that number, which in our opinion could be even a couple of times more than that! In this section, we want to expand past WordPress to look at the companies that make up the ecosystem. Besides the professional (and commercial) companies, consultants and freelancers, WP receives contribution from a huge amount of volunteers and without their help, solely relying on people who actually make money from WP, it would be nowhere near as popular as it is today, we’d like to thank them for their generous work! We’ll try to list most of the most famous participants of the WP ecosystem, but as you can imagine it would be extremely hard to mention each and every one of them so our list is not exhausting nor it could ever be. Theme marketplaces make up a huge part of the ecosystem. It shouldn’t come as a surprise: not many of the site owners keep the default Twenty Seventeen theme after installing the CMS package. There are a lot of free themes available but generally speaking if you’d like high quality and most importantly product support, you’ll want to go the “premium way”. Almost microcosms of the entire WordPress community, these marketplaces are a great place to connect with different WordPress developers, users, and contractors. When we talk about theme shops and marketplaces, like it or not, no discussion would be complete without mentioning Envato’s ThemeForest. Nowadays you can find more than 4,200 premium themes on ThemeForest and the number is increasing rapidly. From very targeted, niche themes to general and ecommerce ones you can find everything here, it’s almost impossible not to find one that perfectly fits your use case. Envato’s success helps us paint a picture of how large the ecosystem really is: since its launch in 2006 more than $180m have been paid out to designers and developers. Talk about an ecosystem within an ecosystem: one of the most famous authors, Kriesi, has sold more than $2m worth of themes. This reflects the huge demand for premium WordPress themes quite well. Standing right next to the popularity of ThemeForest is WooThemes. While ThemeForest serves a broader web market, WooThemes focuses on serving only the WordPress community. You might have heard of them if you have an ecommerce site, because their WooCommerce plugin is by far the most popular ecommerce plugin for WordPress. Why did you see potential in WordPress at the time you founded Woothemes? Back in 2007 there were only a couple people selling WP themes, and I had a few free themes available for download on my website, which got a lot of traction. I also got a lot of requests for the customization of these free themes, and that is when we saw the potential and started WooThemes. What do you think is the main reason that your customers love your products? We’ve always put a lot of effort into our product design and functionality, and the total customer experience. I also believe we offer some of the best support in the WP marketplace, which is why customers keep coming back. How do you see WP’s future (maybe in the next 5 years)? I think we’ll see more synergies between WP.com and WP.org in the future, and more premium plugin developers delivering top products to the WP platform. ThemeIsle is a relatively new player in the game, but they’ve quickly become one of the fastest growing theme shops on the web. Their flagship, Zerif theme, is an awesome single-page design, loved and used by hundreds of thousands (not exaggerating) of users worldwide. For $99, you can get access to ThemeIsle’s complete library of WordPress themes. The Genesis Theme from StudioPress is the brainchild of Brian Gardner who in 2010 teamed up with of CopyBlogger founder Brian Clark. CopyBlogger is one of the most visited blogs on the planet. It is only fitting that his theme company has over 112,000 website owners using his premium WordPress theme framework. The team over at Organic Themes has been creating and designing fresh WordPress themes since 2009. They currently have over 800,000 users and a large library of 36 responsive themes for artists, businesses, and bloggers. WPZOOM is a small team dedicated to helping individuals and businesses engage with their audiences across the web. With a focus on WordPress themes & plugins, they specialize in finding the perfect balance between form and function for our clients. They’ve developed over 100 themes since 2008, with 50,000+ customers spanning 150 countries. When you think of iThemes, one word might come to your mind: Builder. This framework and the themes built on top of it allow you to create your own layout, so you can customize the entire site the way you want it to look. If you want to create a squeeze page with a completely different layout than the rest of the website, you can create one in a couple of minutes, and still keep the rest of your site as is. Mojo Themes is another huge marketplace. It has been around since 2009, and is gaining a reputation for quality WordPress themes as well as two other popular CMS systems: Drupal and Joomla. They have more than a hundred thousand users and around 800 WP themes listed, which reserves a seat for them at the big boys’ table. Why did you start the marketplace? We started the marketplace because we thought we could make an impact on open source software and especially WordPress market and ecosystem. We are passionate about the individual communities and felt that providing an avenue for designers and developers to make money would be a great place to start. Mojo Themes has more than 100k users, how did you build your community? We honestly built the MOJO Themes community through hard work and being on the ground level. We have worked hard to build up a friendly atmosphere within the company and to be personally available for our sellers and buyers. Why do people come back and how Mojo Themes differs from another marketplaces? I like to think that people come back to MOJO because they trust us and they know that they can get ahold of us if they have a problem. We really try and live by small town rules. It seems that often it can be very easy to hide behind your computer and not respond to a customer when they need you the most. How do you see WordPress in the near future? I think WordPress will grow a lot in terms of the technology in the next few years. It seems (to me at least) that WordPress has been tailored to personal bloggers but I can see WordPress introducing more enterprise-like features and functionality. We will see a big increase in applications powered by it. Elegant Themes has one of the best theme promotions in the industry. Therefore, it is no surprise that they have over 230,000 clients. For $69, you get complete access to over 87 themes. This list grows every year as they come out with new ones about once a month. Just as important as theme developers and shops are the coders who extend the basic functionalities of WordPress with all kinds of extra features that make our lives so much easier. Plugins can be considered as the “apps” of the WordPress ecosystem, so let’s take a look at some of the important players! Does your audience speak more than one language? Then WPML is the right plugin for you. It helps WordPress users with creating and publishing content in multiple languages. You can easily translate your pages, posts and theme texts with it. Works with all WP versions above 3.0 and supports all themes out of the box. Should you have any problems, the support team is there to help you! OnTheGoSystems, the company behind WPML and Toolset, has more than 90 employees working from over 40 different countries. OnTheGoSystems is unique in that it is a 100% remote multilingual company. The idea behind WPML started about 10 years ago when Amir Helzer, the founder of the company, developed ICanLocalize, our online translation service provider. WPML helps WordPress users create and publish content in multiple languages. You can easily translate your pages, posts and theme texts with the plugin. It also works with all WP versions and supports themes that are out of the box. Should you have any problems, the support team is there to help you, available 6 days a week. Last year we also released chat support, meaning customers can have real-time conversations to solve any issue they may have. WPML is today installed on more than 800,000 WordPress sites. There are support forums in 7 different languages. We expanded our forums because we care about our clients and want to service them in other languages besides English. Our clients play a major role in starting the WPML road map and we have regular feedback calls with them where we listen to their input. The fact that our employees come from so many different countries and cultures helps us to understand what it takes to develop an excellent multilingual WordPress plugin. We work with over 80 Language Service Providers who are integrated with WPML and continue to work with more every month. Our new Advanced Translation Editor was launched last year and we are developing new features in 2019, so look out for our latest announcements on the WPML blog. We have also been busy with Toolset, our plugin we first released in 2011 to help non-coders build advanced WordPress sites. Back then it was called Types and last May (2018) we migrated all the plugins under the brand Toolset. Toolset solves most of the problems that developers face when creating a new site. It lets developers define content types, display rich and complex data, set access levels, and even create or edit content from the front end of the site. Over the last few years, we have been releasing more features into Toolset, helping and improving the way developers use the platform. We are working on a big project which will help users build attractive custom sites using Toolset without the need for an additional page builder, by extending the powerful editor that comes with WordPress. A couple of years ago (before the 3.0 release) WordPress had two separate editions: the one used by “regular” site owners for one website and another one named MU, which stands for multi-user, lets you create and manage lots of different sites (domains, subdomains or folders) using only one codebase. This is great for universities looking to give students their own blog, or corporations with many market-friendly bloggers on staff. 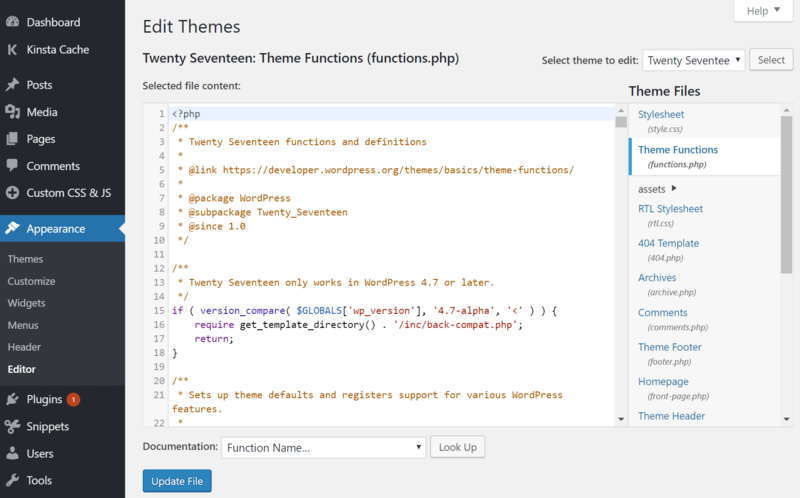 WPMUDev is the best place to find plugins and themes optimized for WordPress MU sites. Besides having a bunch of WordPress related services, Automattic has released quite a few plugins, paid and free, which generate revenue for the billion dollar company. Akismet is one of the most famous anti-spam plugins, while Jetpack extends your WP install with a lot of extra functionality and services. Gravity Forms is one of the best examples of how a single plugin based company can grow into a huge enterprise with thousands of license owners and a vast amount of paid addons available in their marketplace. Ninja Forms is a relative newcomer to the form creation business but it’s becoming more and more popular every day, and it’s a great case study of how someone can enter a pretty established market with a new product and still make it. IgnitionDeck is a crowdfunding plugin that lets you turn your WordPress into a powerful fundraising platform. Despite having only a paid version of the plugin, it’s the most well-known crowdfunding solution for WP, with a lot of addons and themes for sale on ID’s marketplace. Visual Composer is a $25 plugin that has been sold more than 30,000 times on Envato’s CodeCanyon marketplace. 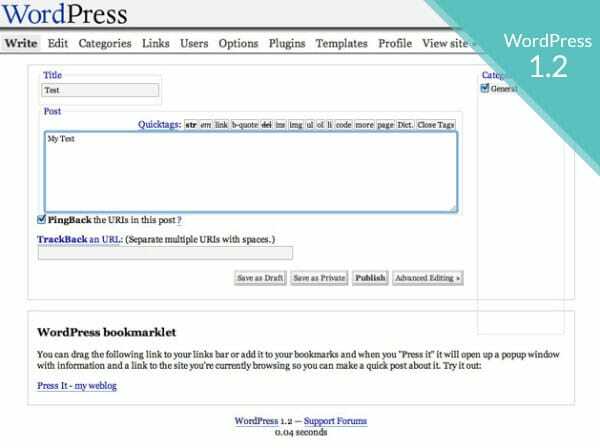 It was the first plugin that became a huge success because of its ability to extend WordPress’s default edition options with lots of visual features. Theme designers, custom WordPress design agencies and everyday site owners are all happy owners of Visual Composer. Easy Social Share is a social media plugin that has everything. Keep in mind that using a ridiculous amount of plugins can cause problems with your site over time. Some plugins conflict with each other and unfortunately many poorly written plugins will break your site immediately after activating them. Ecommerce is a large part of the WordPress ecosystem because one of the most popular ways to make money from a website is to directly sell products or services to visitors. In order to do that you need a so-called ecommerce system or shopping cart plugin. In the golden days it was extremely difficult to create and manage such a site, not so today! With the appearance of plugins like WP eCommerce and later WooCommerce you can set one up in a couple of minutes tops. If you’re selling intangible goods through your website you might want to consider using something other than the regular eCommerce systems. One of the most popular ones is Easy Digital Downloads which is a free plugin that you can extend with many free and paid add-ons. One of their new products is AffiliateWP which, as the name suggests, is an affiliate marketing plugin for WordPress and based on our experience is the most complete. With so many entrepreneurs turning to WordPress for a cheaper web alternative, a large number of WordPress consultants have appeared in recent years to help them. They provide advice and help with everything related to WP from setup to selecting hosting, plugins and themes. Besides that there are a couple of teams focusing on helping you with everyday tasks like backing up your site or fixing and securing it if there was a security breach for example, like a valet service for your website! Many of these technical tasks prove to be too complex or just too time-consuming for everyday site owners. Luckily they can turn to providers like WPSiteCare, Valet and WP Buffs for help. They are WordPress support and maintenance service companies with plans that work for beginners to enterprise level websites. One of the most famous consultant firms is Yoast. 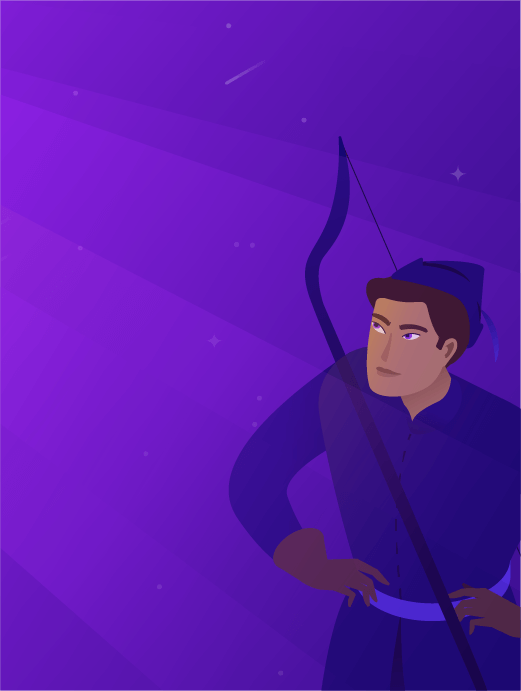 While Yoast could easily be part of the plugin section, we chose to focus on their consulting side. They are the makers of Yoast SEO, which is the world’s leading SEO plugin with more than 10 million downloads. The author of that plugin, Joost de Valk, built the company around his landmark plugin on SEO, which he uses to bring in SEO audit clients. If you would like to become a WordPress consultant, there’s an app… sorry, service for that! WP Elevation’s system is designed to help you build an exceptional business as a WordPress consultant. They’ll teach you how to design and code WP sites and how to get new clients and write killer proposals for them. As with all other categories in this article, there are a lot more of consultants out there. In fact we believe that most web design companies and freelancers who deal with WordPress provide some level of advice for clients. If you know WordPress in and out maybe the easiest way to start earning money in exchange for your knowledge is to start charging people for professional advice. Probably this is the most populous category. Tens of thousands of web designers and developers specialize in WordPress all around the world. They create beautiful, customized designs and extra functionality for WP based sites utilizing a wide variety of tools and programming languages. There are two ways every designer and/or developer can make money with WordPress: either by creating a theme or plugin and selling it as-is plus providing support for clients; or by taking on custom projects for clients one at a time. Or a mix of both. Tom McFarlin is one of the better-known developers who regularly blogs about everything related to WordPress: opinions and high quality, detailed tutorials. As a developer, I bet you have worked with many content management systems, why did you choose focusing on WordPress? Aside from enjoying the act of blogging on my own, I’ve opted to use WordPress as my foundation of choice for building themes, plugins, client sites, and even web applications because of its APIs, its flexibility, the ongoing development, and the developing community that surrounds it. There are thousands of themes and plugins, are there still new client requests you have never worked on/met before? Each week, there are requests for new and exciting projects that keep the work interesting and fulfilling. WordPress has become so extensive that more and more craftsmen decide to specialize in one particular area or another. Bill Erickson, for example, is one of the increasing number of people who work mainly with Genesis, a WordPress theme framework. On the agency side, you have great teams such as the guys and gals of 10up who are changing the ways companies and websites are built. It has often been joked that when Automattic developers leave the company, they go to 10up. Over the past few years, they have brought on many of the best developers in the industry to work for them. Because the company allows all employees to work remotely, they can find the best talent in the world to work for them. WebDevStudios specializes in custom solutions for WordPress & BuddyPress; including custom themes, plugins & applications. They also give back to the community as much as they can, they have released many plugins, gave speeches at WordCamps and other WP meetups, and also organized a few of them. A Minneapolis-based agency, Werkpress has specialized on WordPress too. Just like the previous two companies, the Werkpress guys are also active members of the community you can bump into them at WordCamps and meetups! And lastly, you have Modern Tribe, a digital agency who pushes the boundaries of WordPress with large-scale implementations for Fortune 500 companies, governments, educational institutions, and well-funded startups. Like many of the other areas of the WordPress ecosystem, the CMS platform changed webhosting forever. After seeing that there’s an increasing demand for WordPress specialized hosting, a design agency decided to become the first managed WordPress hosting in the world and in 2006 they founded Pagely. Besides the very WordPress focused support, the entire architecture is fine-tuned to this particular CMS. That includes custom tailored caching systems, managed backup solutions, security, WP-friendly hosting control panels and more! In the past 12 years many more companies appeared offering managed hosting solutions. The most widely known is WP Engine. Flywheel is a company that decided to laser target a niche in the niche: they provide WordPress specialized hosting for web design agencies and freelancers. Kinsta (we are the creators of this guide) is the newest company in the managed WordPress hosting world. We have worked with WordPress for over 10 years, designed and developed hundreds of sites based on this great CMS, and we believe that there are still many white spaces in this market that we’ll try to fill. A great example of that is our highly available, container technology which provides 100% resource isolation and is designed to handle traffic spikes without breaking a sweat. One of the newest parts of the WordPress ecosystem involves WordPress management. Over the past few years, power users have developed multiple sites on WordPress. Some of them get to the point, where managing all of these sites is just not efficient enough to make it worthwhile. Fortunately, companies have come to the rescue to help users with managing all of their WordPress sites with ease. ManageWP, now owned by GoDaddy, is the predominant WordPress management company. With it you can do one-click updates, uptime monitoring, theme and plugin installs, bulk add new posts and pages, mass remove spam comments, backups and much more! ManageWP came to life out of our own need to manage clients’ sites, back in the time when we were a service company. Of course later on ManageWP has grown bigger and we became a product company. ManageWP enhances the WordPress experience. We are giving the user all the tools they need for managing their website, keep them updated and secure, while offering the best-in-class support. We are constantly improving our service including features, code, infrastructure or technology. There are many cool things we have in plan for our customers in the future. WP Remote can also handle all your update needs, for the core, the plugins and themes. It can create backups too! Free and paid versions are available. InfiniteWP is a free solution to manage all your WordPress sites just like the two products above. It has, however, paid addons for more complex tasks. The installation of it is a bit trickier because you’ll need to do some file operations, but it’s nothing to be afraid of. As WordPress continues to evolve every day, keeping up with the WordPress updates, new services, themes, plugins, and WordPress based businesses can become a job all by itself. That is why some prominent WordPress news sites appeared over the past few years to help WordPress users stay up to date with the industry. These sites provide users with information in one central location. Furthermore, businesses also need a place to let users know what they are working on without scattering the information across the internet haphazardly. These news sites play an important role in keeping the community updated. WP Tavern is a popular news site that you could visit every day: there’s always something new! It’s owned by Matt Mullenweg, the creator of WordPress and they write about everything that’s even remotely related to WP! Most posts are written by Sarah Gooding and Jeff Chandler. Another great site is WP Mayor. In the words of the site, they provide WordPress news, articles, hacks, plugin reviews, and more. The site is running and edited by Jean and Alyona Galea. The number of WordPress news, plugins, themes and services is growing constantly, how can you keep up with it? How do you select or highlight topics that you think your readers might be interested in? The number of WordPress plugins is growing exponentially. It is impossible to keep track of all plugins, but naturally, the real good ones gradually rise to the top as more and more people download them or praise them publicly. One of our primary aims at WP Mayor is to help uncover great plugins, themes and services and showcase them to all those working with WordPress. Since we have thousands of regular readers, we have a great pulse on the community and through reader feedback we know what kind of plugins they need. Thus we try to address these requests by featuring plugins that perform operations that readers have asked us about. Why do you personally love WordPress? We love WordPress because of its flexiblity as a system and the awesome community around it. Using it as a CMS nowadays is a no brainer, it’s by far the most popular CMS and it’s easy to find WordPress help. Most importantly it’s super easy to use. One other site that is worth visiting every day is WPLift, edited by Oliver Dale. This is a general-purpose site about WordPress. 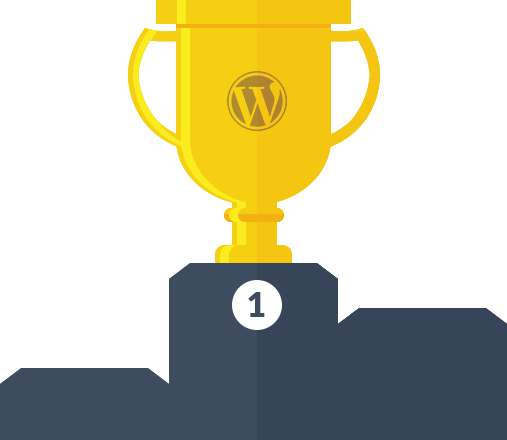 WPLift has everything from valuable WordPress news to a theme directory and WordPress competitions. They always have coupons for various WP products too! Next on our list is Poststat.us, written by Brian Krogsgard. It is dedicated to inform the readers about everything that’s happening in the WordPress world. Brian is a down-to-Earth guy who usually adds his own two cents to each piece published on the site, and that’s what makes it interesting and unique! Chris Lema regularly blogs about the entire WordPress industry and blogging in general. His posts are always opinionated or should I say they just accurately reflect Chris’s passion for this platform. A lot of time he discusses the future of the whole ecosystem and where he thinks the theme industry or the ecommerce part of WordPress is going. Another great site that’s worth mentioning in the list is WP Kube. Besides the detailed “how-to” WordPress guides, it has great plugin, theme and WP service reviews being constantly updated. Numerous contributors are editing the site day by day, so the variety in viewpoints is guaranteed. Matt Medeiros is a WordPress entrepreneur and podcaster. His site, Mattreport.com, where he interviews entrepreneurs and industry thought-leaders in live, was launched in 2012. DradCast is a weekly video podcast that discusses everything related to the “premiere open source content management system on the internet”, WordPress. Hosted by Dre Armeda, co-founder of Sucuri Security and Brad Williams, the co-founder of WebDevStudios.com each week the show features a new guest host with whom they discuss hot topics in the world of WordPress. The WordPress Chick Podcast is an audio podcast hosted by Kim Doyal a well-known member of the WordPress community. She interviews WordPress developers and founders of successful WP businesses. Each episode worth a listen. Genesis Office Hours is a weekly video podcast that specializes in the aforementioned Genesis Framework, hosted by Carrie Dils a well-known Genesis developer gal. For the largest blogging platform on the planet, we cannot forget the need for great writers. Specifically, copywriters and bloggers are in great demand as the public’s thirst for content grows. As WordPress grows, web content and documentation will be more in demand. 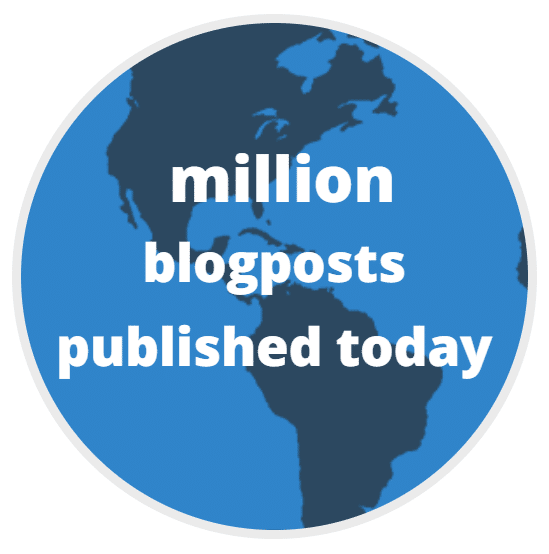 Consider that the are millions of blog posts written each month. 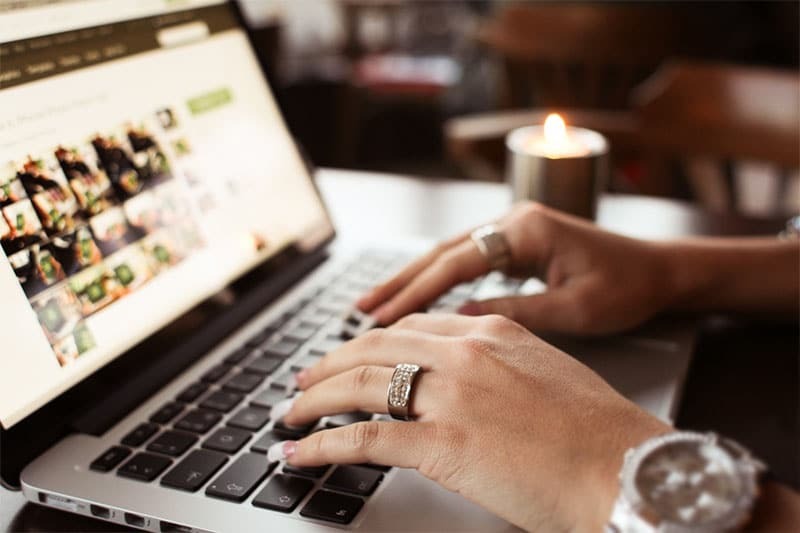 Gone are the days when you could stand out simply by having a “blog”. You need to create high quality and engaging articles and follow the latest rules of content marketing in order to make it. With increased competition, blogs, corporate or personal, need high-quality content written by professionals. If you are a talented writer and maybe even an expert in a field then your writing services will surely be sought-after! What might start as earning a bit of extra money on the side might turn out to be your full-time job sooner than you think! At the beginning WordPress can be a bit overwhelming, that’s actually one of the widely shared criticisms of the platform. There are several great resources (free and premium) to help WordPress users improve their understanding of it. WordPress.TV is the site where Automattic stores all of the past speakers videos from previous WordCamps. WordPress.TV is a great collection of formal presentations and announcements from WordPress and WordCamps around the world. Tuts+ is a great place to learn coding, design, illustration, photography, and other specialized skills. Tuts+ is similar to Udemy with a greater degree of focus on technical skills. They have a category dedicated to WordPress too! Unlike the other two sites, which are more news related, WPBeginner focused on educating beginning WordPress users. The main goal of this site is to provide quality tips, tricks, hacks, and other resources that allows WordPress beginners to improve their sites. The site’s tutorials are for every level of user, unlike some of the other blogs aimed at developers. Do you want to set up a WordPress site in less than an hour? Then check out WP101’s intro course to get your blog up and running. The site caters mostly to beginners looking to set up their WordPress blog. They are an all-video tutorial site that promises not to bore you with textbooks. On the other side of the coin, BobWP has a number of options for WordPress users looking to learn more about the software. They have individual coaching services, theme selection help, and a 10-point WordPress checkup, as well as a monthly membership where you can access premium tutorials on WordPress related questions. The topics are geared for beginners and bloggers. Bob Dunn is a well-known member of the WP community and an organizer of the 2014 WordCamp Seattle conference. You are very passionate about WordPress and you’ve been teaching it for years. Why is it important to help people learn WordPress? Why did you start BobWP? Although WordPress is an amazing content management system, it is not the most intuitive software for the average user. But once you take the time to learn the basics, you will have better control of your site, which is probably the reason you wanted to use it in the first place. I started BobWP.com because I love teaching people. It is gratifying to see them get to that ah-ha moment. I like to take the time to explain not just the how, but the why— and I stay away from confusing tech terms. If you could share a BobWP success story with us (we bet you have many talented clients/students), that would be great. One client, who thought she could never learn it, was amazed at what she had been able to do. Since then, she has built and maintained three WordPress sites. At the end of each training session, before I could disconnect, I would hear a “woo-hoo!” That kind of stuff makes my day. Do a search on Amazon.com for the word “WordPress”. You will find over 2,500 book results from Automattics’ free WordPress Guide to thousands of third party WordPress tomes. These books cover everything from how to start with WP, to building a site, SEO, marketing your blog, and more. Don’t forget that this is only a nascent industry, so expect to see the number of writers increase over the next few years as WordPress becomes a household name like Facebook and Google. How to Market Your WordPress Blog? So far, we have focused on the WordPress centric blogs and news outlets. However, many blogs discuss how to use WordPress in relationship to a larger online marketing strategy. These sites help you understand the best practices of blogging, content marketing, traffic generation, email marketing, and other ideas that mix so well with your WP site. Jeff Bullas started his blog in 2009 as a way to share his knowledge on all the things he was learning about online. Since that time, he has provided a wealth of knowledge on blogging and social media. QuickSprout is a content marketer’s dream site. Neil Patel has some of the best information on the web about all the content marketing topics you want to know about. Definitely go through Quick Sprout’s definitive guide series. It covers topics that some courses charge hundreds, if not thousands of dollars to teach. We discussed StudioPress earlier in the theme marketplaces section. CopyBlogger is the associated blogging site. This is where copywriters go to learn the craft. The best of the best copywriters around the world provide great information on a daily basis. Darren Rowse has turned his ProBlogger.com into a community with forums, job boards, and other useful resources for bloggers. He provides you with great tips to increase the number of visitors and thus the revenue of your site. Hubspot’s blog has a wealth of information about inbound marketing (a term that they coined by the way!) and ecommerce. As their whole company is built around inbound marketing, you can imagine that they have the highest quality articles published. As you are beginning to see, WordPress is a massive undertaking, you have to admire the initial vision from Matt Mullenweg that turned this small personal blogging platform into an economic engine for thousands of people around the world. As we go into the final component of this guide, we look at the huge volunteer community that has sprung up over the past 11 years. From core contributors to wordpress.org forum moderators to WordCamp organizers there’s a lot you can do to give back to the community! Here are some of the major ways WordPress users can get involved in the community. You can also take a look at our another in-depth guide: WordPress Communities Around the World. We have mentioned the term core contributor a few times throughout the discussion about WordPress. A core contributor is a developer who helps with updating WordPress on a continual basis. For the WordPress 3.9 Smith update, there were 267. These 267 contributors volunteer their time, energy, and effort to help make WordPress the best platform on the planet. Without them working on WordPress, the platform would slowly decay. They fix security issues (if there are any), make the codebase leaner and, of course, continuously add new features. Andrew Nacin was the release lead during the 3.9 update and for the 4.0 milestone he passed the torch to Helen Hou-Sandí who is the director of platform experience at 10up and a permanent WordPress core committer. I got involved back in 2004. I was mostly just playing around with web publishing for fun. Two years later, I had dropped out of college to pursue it full time as my career! You probably know many CMS’s. 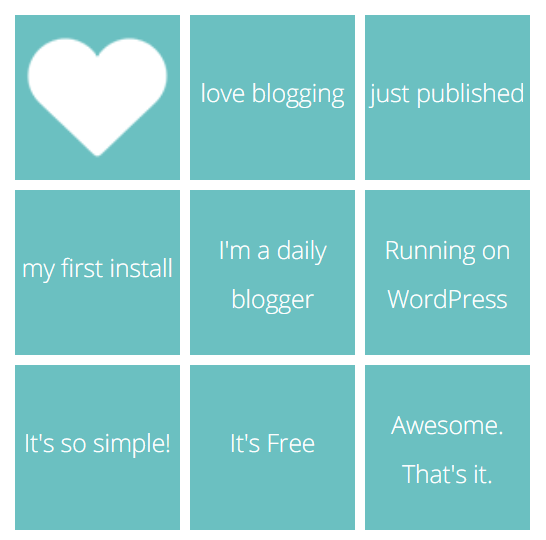 Why have you chosen WordPress out of all the possibilities? A few reasons. First, the price and the license were right. I switched around the time that Six Apart had a huge PR disaster when they announced the pricing structure for the (previously free) Movable Type publishing tool. Second, the community seemed awesome. There was this great underdog energy and sense of camaraderie. The underdog thing has changed, but the energy is still good! Lastly, I liked some of the choices it had made, particularly around its simple plugin architecture based around actions and filters. Is there anything you don’t like about the project or the code right now and would like to change? Our mobile experience is still lagging. We’re moving in the right direction, but we started adapting later than we should have. How do you see the future of WordPress in two years? I hope to see more companies building on top of WordPress, and WordPress being judged less as a standalone app, and more as a platform for building publishing experiences. Equally as important as the core contributors are the countless plugin and theme developers who create addons that allow WordPress to do almost anything. While most people have a vision that WordPress is only for blogs, if you go through the plugin or theme directory on WordPress.org, you will find something for every type of website owner. Thousands of developers and theme designers spend dozens of hours with creating these extensions of WordPress and release it free of charge to the public. Some of them take advantage of the free marketing the plugin generates and use it to drive traffic to their premium offers, which include paid addons and/or paid support services. It’s also quite common that the developers of commercial themes and plugins release a free version to give back to the community. In one form or another almost everyone who works with WordPress gives back something, that’s why this whole system works so beautifully. Many of the Automattic developers contribute plugins as well in their spare time. In fact, Matt generally hires developers that have been active in the WordPress community already. However, so many more developers who do this work on the side deserve props. The next time you are on WordPress.org, make sure to login and give a positive review to some of your favorite WordPress plugins. The developers will appreciate it, and know their hard work was worth the effort. WordCamps are annual meetings held around the world. With 784 WordCamps at current count, these annual meetings are a great way to learn about everything new that is happening with WordPress. Most WordCamps have multiple tracks to make it interesting for newbies and experts as well. Furthermore, the tickets to the events are very affordable. For around $40, you can get tickets to a full weekend conference that comparable events charge hundreds or thousands of dollars to attend. Organizer: Every WordCamp has an organizing team that puts the event together. Organizers are in charge of every step from locations to fundraising to vendor support to selecting speakers and promoting the event. Speaker: Another way to get involved is to speak. The organizers are always looking for qualified speakers to discuss topics on design, development, and blogging best practices. Volunteer: If you do not have the time to commit to organizing, and then you might want to consider volunteering. When you volunteer, you have the chance to help at the event, but will not need to spend as much time over the course of the planning. Prior to working full-time with WordPress, I bounced around in a few different fields while doing web development on the side and as a hobby. I was never sure that’s what I wanted to do. I came across the WordPress community and immediately felt welcomed. I knew it was where I wanted to be. There was more than just a job for me working on software. I wanted other people to experience this, and wanted to do what I could to help them. If you cannot make it to your local WordCamp event, then fret not. Most major cities also have WordPress meetups as well that meet on a monthly basis. These meetups are a great way to make connections with other WordPress users and developers in your area. In addition, because they are monthly, you can develop a continual relationship with other WordPress users. While the annual WordCamps are a blast, the meetups are great for continual learning and connecting with the community. Whether you use WP for your own site, or to build client sites, or if you create WP tools, you should be part of the WordPress local community. Once someone is working with WordPress and earns a living with it, there is no good reason not be involved in the community that has already done so much to make this platform better and better. The chance that there’s a local WordPress meetup near you is quite high, but in case you don’t you have an even cooler opportunity to start building one. You have great chances to network with and learn from others, teach them what you have already learnt, and hear from people in different fields of life using the same CMS as you do – there are countless advantages of participating in a local WP meetup and help the WordPress platform grow and spread. If you do not have a WordPress meetup in your area, then you can also start one. Here is link to learn more about the WordPress MeetUp groups. If you’re someone who’s interested in the eCommerce side of WordPress then we have great news for you: for the first time this year, the creators of the immensely popular WooCommerce plugin will hold a conference in San Francisco on November 3-4. With almost four million downloads just from the official repository, we can definitely say that WooCommerce is the most widely used shopping cart solution for WP. Today WordPress runs dozens of millions of websites and that number will only increase in the foreseeable future. This is due to three reasons. First, WordPress is almost as old as blogging. In the past eleven years it has gathered a loyal following. WordPress is loyal to them too, more so than any other platforms like Drupal or Joomla: WordPress never breaks compatibility with older versions. In exchange, people know they can rely on WP for years to come. Second, the community they developed cares. That starts with Matt and extends to everyone down the line at Automattic and those active in the WordPress community. Open source in general is about receiving and giving back and this truly shows with the enormous community that was built around WP in the past decade. Third, because the community is enthusiastic about the platform, bloggers and social media influencers actively promote WordPress to their networks. They trust the platform, seeing how it continues to deliver results for their businesses. Matt also gives a lot back through his philanthropy and so do many of the prominent figures in the WordPress world. He has a specific interest in keeping the internet free and open for everyone to use. This includes Archive.Org, Electronic Frontier Foundation, and the Free Software Foundation. He believes in an open source world that is good for small business owners and webmasters. 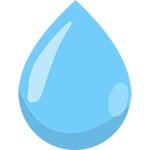 He is also involved in Charity Water, which aims to bring clean drinking water to everyone in the world. With all that WordPress has achieved, realize that this is just the beginning of the quest. As Mullenweg put it, “We have 71% of the web to go; only 29% runs on WordPress so far.” While I am not sure if it will ever hit 100%, it’s definitely poised to keep growing. More than likely in the next 10 years the percentage of the web that runs on WordPress will steadily increase. One significant change is how he sees more and more users creating their own sites with WordPress.org. Currently 50% are WordPress.com sites. Over the next few years, he thinks it will shrink to 5% with the majority of new WP site owners opting for self-hosted sites. It’s a well-known fact that WordPress doesn’t provide the best experience for mobile users at this time. As the use of mobile devices is increasing exponentially more and more effort will need to be put into keeping up with the best user experience delivering applications. Although 30% of the entire web is a lot, there’s still a lot of room for growth. That means that if you create a product or a service related to WordPress, the number of your potential customers could double or triple in the coming years! And that includes enterprises. Right now very, very few large enterprises use WordPress as their content management system, but that’s changing fast. In recent years WordPress became a solid choice for companies of all sizes because of its extensive feature palette and tight security policies. Check out these 130+ big brands powered by WordPress. We at Kinsta are very bullish on WordPress and we’ll strive for providing the best hosting experience for companies of all sizes. What are the main reasons that you are using WordPress? What was your first impression when you used WordPress? Are you a designer, a developer, or a blogger? Let us know in the comment area below. Finally, if you loved our guide about WordPress, then please share it with your friends. Holly molly! This is awesome, Mark! Guess you have been writing all along on the vacations. Keep it up, man. ? Wow! Incredible article, and research! Just the thought of writing a post this extensive is mind-numbing. Along with Tyler, I understand not everybody can be included either. However, I feel like Organic Themes deserves a spot on the themes list. The company was among the first premium theme shops in 2009, and is still going strong. Hey David! We agree. We’ve added Organic Themes to the post. I am really enjoying the theme/design of your site. Do you ever run into any web browser compatibility issues? A handful of my blog audience have complained about my website not working correctly in Explorer but looks great in Firefox. Do you have any suggestions to help fix this problem?